If you are an entrepreneur, you’ll want to think of ways to differentiate and set your products and services apart visually. You can use a colour, a symbol and shapes to achieve recognition. When these elements are combined, they can become your business logo. A logo reinforces the brand message of your business. Your logo design is there to help you and your brand get noticed in the marketplace. With constant changes in technology and, more importantly, the way people interact with your brand, your business logo must be flexible. Flexibility means that your logo can adapt to different sizes and contexts, in both digital and print media. The ideal approach to a business logo for effective and flexible branding is called ‘logo versioning’. Designing different versions of a business logo will give you lots of flexibility in the hyper-connected world of modern commerce. Logo versioning means that a logo concept can be adapted to different layouts, using some or all of its elements but never losing its recognition factor – they always know it’s you! The easiest way to ensure flexibility is by creating a logo that contains text and graphics. The graphic element is called an ‘icon’. The text is called the ‘logotype’. The icon that is part of your logo needs to work independently for the logo to be flexible. Left image: notice how the logo is displayed on a mobile phone. The whole logo image needs to fit a small space. But the app (short for software or application) creates a name to the right. This means, that we are better off using the icon only version of our logo for better brand recognition. With digital media, you need to keep in mind when and how text is provided by the app you are using. You cannot control this, but you can make it work to your benefit. The stacked option is ideal when there’s enough space around the logo. 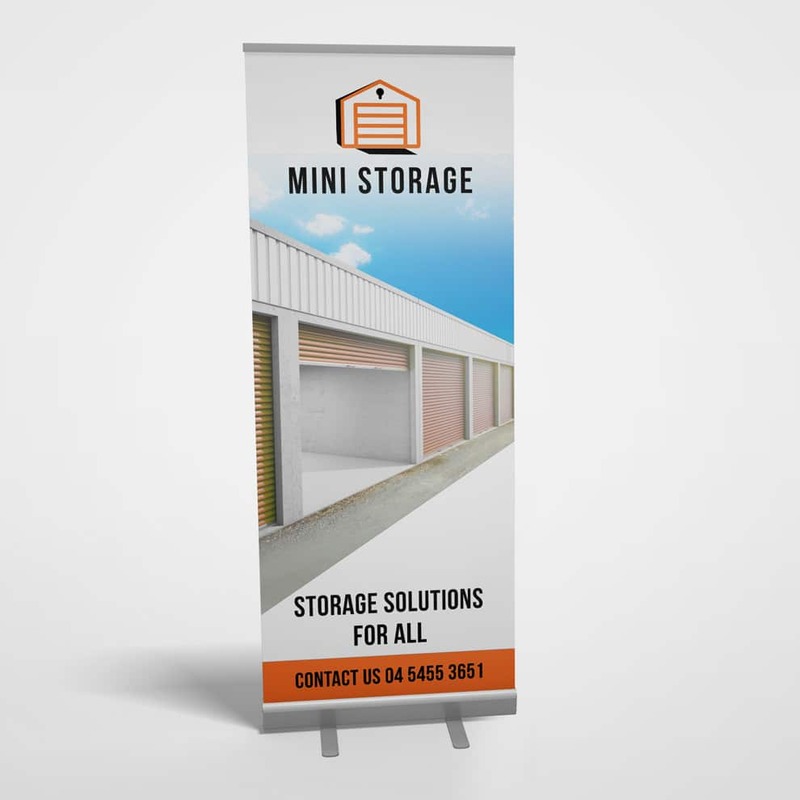 Our sample below showcases our sample logo used on a banner. For minimalist appeal or when less design elements keep reproduction costs down, the text only option is a great choice. For example: the number of thread colours and amount of detail will have an impact on the price of the end product. This is the perfect solution when horizontal space is our only option for our business logo. The sample below illustrates how this space is used on a website banner. The samples we have presented above, might seem straightforward and easy. But a lot of thinking is invested in the design of a logo for a business, because the designer needs to think ahead of your business needs and make the logo design work across different sizes and media. Of course, it’s possible to have only one logo version for your business branding. But you will be limiting your options to brand the visual identity of your business. This is why a professional designer will approach your business logo from a flexibility stand point, and ask you lots of questions to ensure the design works for all intended uses and exposures. And this is the reason why we recommend you to not go cheap on your logo. Let a professional designer help you. Custom made, flexible logo, using high end design software. International standards quality files, formatted according to your business specific needs. Ongoing relationship, making sure your logo & branding keeps pace with your business. If you want to your business to look professional, work with a professional. Besides, it’s also a question of time. You work with professionals so that not only is the job done right and to a high standard, but you can spend your time doing what you do best: running your business. For more on working with graphic designers, have a look at our blog article “10 things to check before choosing your graphic designer”. Get a unique logo for your business. Make your business stand out in the marketplace. We’ll design you a logo that gets you and your brand not only noticed but remembered!